Showing results for tags 'p&t'. It's official! After 3 years 8 months of fighting the VA. Now at 100% TDIU P&T. Chapter 35 Bennefits will be a nice addition. 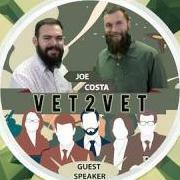 I look forward to hearing your success stories too fellow Vets. P&T request: Appeal or new claim? I am in the midst of a form 9 appeal, waiting on the VARO to review and certify the appeal. If the claim is granted I will hit 100% disability. If Permanent and Total is not granted by the VARO or BVA, but the claim is otherwise approved, is applying for P&T a new claim or an appeal? My disability goes back 20 years and my claim is from February 2012, so I would obviously be looking to P&T status dated to the date of claim. God is Great! I asked for P%T and well I just went on Ebenefits and I got it!!! I applied for P&T after they awarded me 100% schedular in October. Last month I applied for P&T because I felt that I should have no future exams and that my PTSD should be considered static. I filed the 526EZ in November and asked for P&T shortly after they bumped me to 100 % percent schedular (October) and they awarded it to me. Thank God I do not have to worry about my childrens health insurance and college now. I can only say that it does not hurt to ask. I was prepared for them to say no but I so happy and blessed that they said yes. He opinioned that my residuals of my TBI effect my ability to work and said this (1) Trauma effects on Veteran's Memory seem to create one of his most significant impairments. Work on aircraft, where the lives of pilots & passengers are at risk, and much of the tasks are quite technical, seems particularly inappropriate for an individual with his apparent level of cognitive impairment. (2) In most employments, relationships & cooperation with coworkers & customers are important. The Veteran's emotional impairments would seem to be a liability. (3) What he interprets as chronic headache, may be a response to cognitive impairment. An employer would be prudent who asks himself whether this Veteran with his impairments is the individual who should be working on aircraft engines. The Veteran's Physician requested from the employer a modification of his work schedule because of concerns about circadian rhythms in the Veteran. That request was nixed because granting it would in the employer's view, it would be a violation of the collectible bargaining agreement with the Union. However, the Veteran's positives with respect to employment were well stated by him when he said to this examiner, "I'm as strong as an OX". My employment as a contractor is an at will which means your assignment and/or your employment can be terminated for any reason, with or with-out cause and with or without notice. At the termination of your employment, Quanta is not liable for wages or salary except those you earned prior to the date of termination. My mistakes made on a daily basis is grounds for being fired and I'm treading on water with no stopping my memory faults. I'm just trying to survive for my family and to support them by not telling my employer I ever had a TBI. I filed for IU roughly 2 months ago and was wondering if what I said to the doctor will hurt my chance I also had an MRI which shows I still have a 3.25 arachnoid cyst in the back of my cerebellum. So my short term memory is a liability for all employers no matter my physical conditions and it's been the same for ten years not any better but not getting worse . Along with my daily headaches which I also filed for an increase from 0%. He opinioned this though since he performed my TBI review as well PLEASE COMMENT ON THE EFFECT OF THE VETERAN'S SERVICE CONNECTED AND/OR CLAIMED DISABILITIES ON HIS OR HER ABILITY TO FUNCTION IN AN OCCUPATIONAL ENVIRONMENT AND DESCRIBE ANY IDENTIFIED FUNCTIONAL LIMITATIONS. PLEASE REFRAIN FROM OPINING ON IF THE VETERAN IS UNEMPLOYABLE OR EMPLOYABLE; INSTEAD FOCUS AND REFLECT ON THE FUNCTIONAL IMPAIRMENTS AND HOW THESE IMPAIRMENTS IMPACTS OCCUPATIONAL AND EMPLOYMENT ACTIVITIES. I do not believe that the headaches per se significantly affect his ability to work in a marked way. However, the overall effects of his TBI do impair his ability to work, and I will comment on that more fully in addressing the DBQ that deals with residuals of the TBI. I just don't know if I will get the increase due to that statement even though he said they occur daily? I have no idea of what is to come does anyone have any guesses for my IU claim or my increases? I'm 90% of it matters for my IU claim. I just got approved for PTSD as schedular 100% and have had it at 70% since 2012. Since they have increased me to 100% for the PTSD dated back to 2014 when I filed for TDIU, it now shows that my service connected PTSD is effective from 2014 although I have been getting paid for it since 2007. I have not improved and only now have gotten the 100 % that I should have been at from the beginning. They also have approved me for SMC S1 since 2014 as well. My question is. how do I apply for P&T? My PTSD is not going to get any better as it has been increased steadily over time from 30% to now 100%. Should I file an NOD or should I appeal? Not sure what route to go. Please advise. Thank you in advance. Hello to my fellow Brothers and Sisters this is my first post, I've been a long time lurker. I am a recently discharged OEF Vet. I joined the National Guard prior to my ETS. I really only joined for the healthcare to help out my family members. I knew my mind and body was breaking down too much to carry on doing active duty Infantry and I wasn't allowed to re-class. The Guard offered me one so I decided to re-class in the Guard to a HR MOS. I didn't receive a bonus and haven't gone to my AIT for the re-class yet. I've only participated in one Drill weekend. I recently received my award letter for 100% SC P&T. I don't know what to do now about staying in the Guard? Will I be penalized by the VA? Will it change my rating? Will the Guard just MEB me? Any advice is appreciated. I have some questions if anyone has time to answer. The first of December, I had another C&P done. I went from 90% to 100%. My commissary letter: We are providing you with this letter so you may receive commissary store and exchange privileges from the Armed Forces. This is to certify (ME) is an honorably discharged veteran of the Army and is entitled to disability compensation at the 100 percent rate due to service-connected disability(ies). This total disability is considered permanent. You are not scheduled for future examinations. My benefit verification: Combined Evaluation 100 percent My status is "Under Review" for Drill Pay. I am still in the National Guard. I didn't think that I could be working and have 100 percent since it is a Mental thing. I have never never received any letter in the mail stating that I was 100 percent. Do you get a letter in the mail? If so, how long does it take? thanks for any insight. I already have a combined 100% service connected for several health issues. When applying for permanent rating should I link it to specific diagnosis on the statement in support of claim. Or should i just make a basic statement like " I am writing to request a permanent rating" and let them decide which diagnosis I am referring to. I just dont want to write too little or too much. Any help on this matter would be appreciated. Greetings all, Last week the VA upgraded me to 100% P&T and my retierment date was move to 12/30/13,( hey thats today) Not bad for an old one eyed man if you ask me. I love to chat but its my turn to fill in all kind of forms for parking plackards, ID cards for the PX, CHAPUSVA for mom, and property tax adjustments. Thanks for all the help. Simper Fi. tdiu P&t, Tdiu, 80% Csc, Still Scheduled For C&p? Am I exempt from future C&P exams if I'm P&T? I am P&T, 80% SC, and TDIU. I just had one C&P yesterday and am scheduled for another in one month. I asked my VSO about the exam and he said the VA was just getting a benchmark on my health, tracking my disabilities for future reference. I received a letter today from DVA regional thanking me for my service. The letter noted my claim #, dates served and honorable discharge, and gave my VA information. Sevice-connected: Yes Combined service-connected evaluation is: 80% Effective date of last change: 1 Dec 2011 Current monthly award: $2,924.00 Am being paid 100% because I'm unemployable: Yes I am considered to be totally and permanently disabled due to service-connected disabilities: Yes I just had a C&P exam yesterday for sleep apnea possibly secondary to CAD. Also, the exam covered DMII. I had a C&P for DMII in 2010.